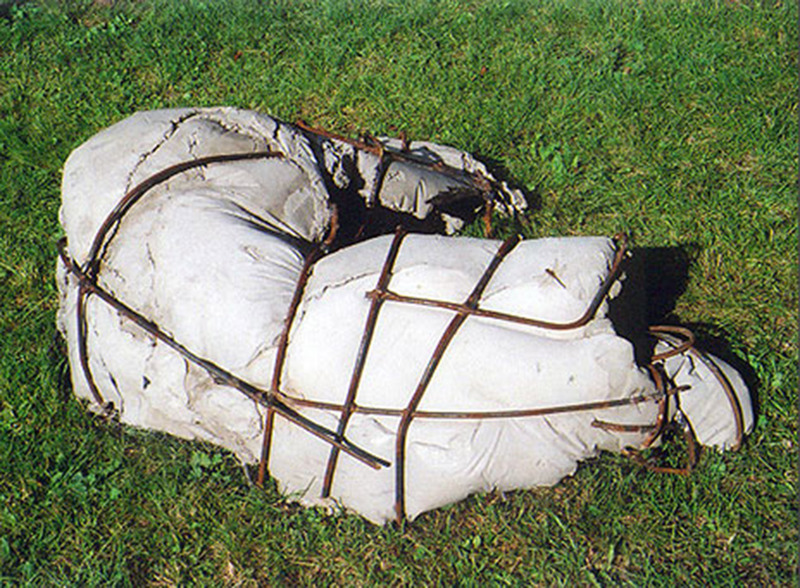 ”Yin o Yan o Jung” 2003, sculptures of cement and iron bars. 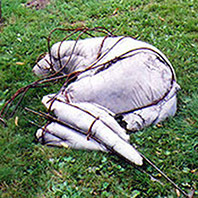 ” Part of Yin Yang o Jung” 2003 in the ”Projekt Kulturpark” Djurgården, Stockholm, Sweden. 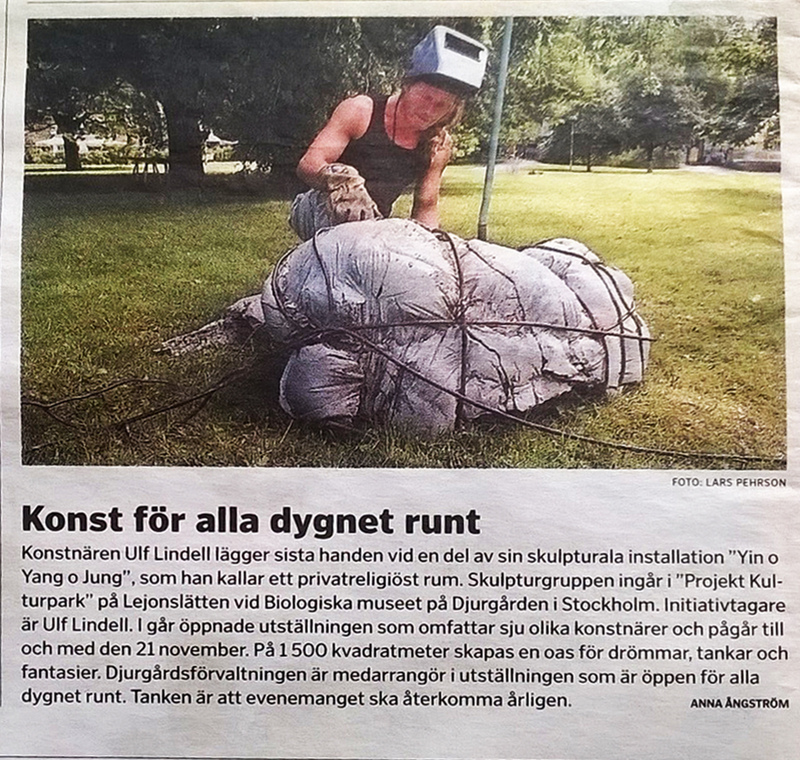 An article in a Swedish newspaper (Svenska Dagbladet). ”Adam and Eves last outpost”. Seven meters tall slingshot of aluminum, elastic rubber band, transparent plastic, and an apple. 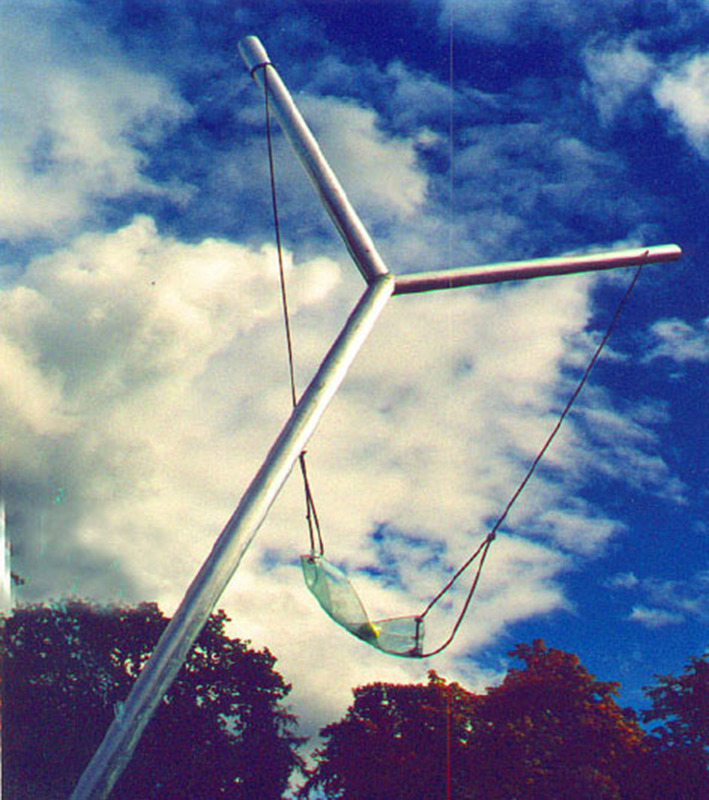 ”MOON WATER” Installation 1996 Kungliga Djurgården, Stockholm. 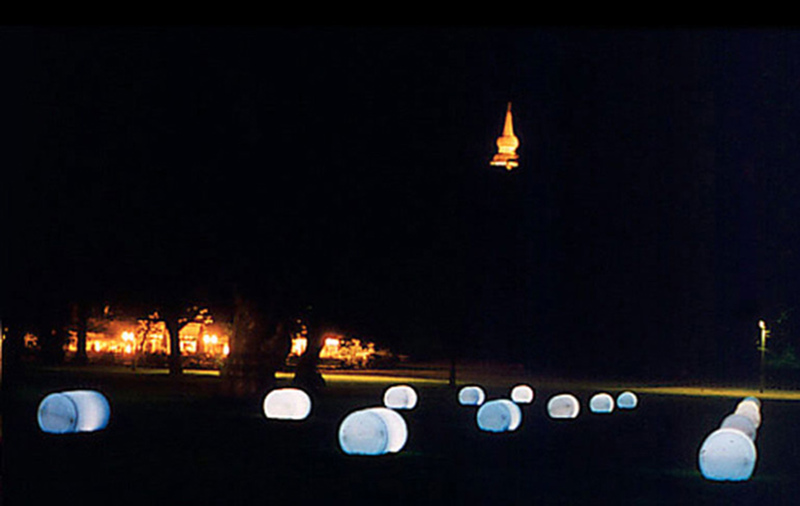 ”Moon water” 1996, 15 illuminated plastic barrels filled with blue water. Parts of ”Without a title in blue”. 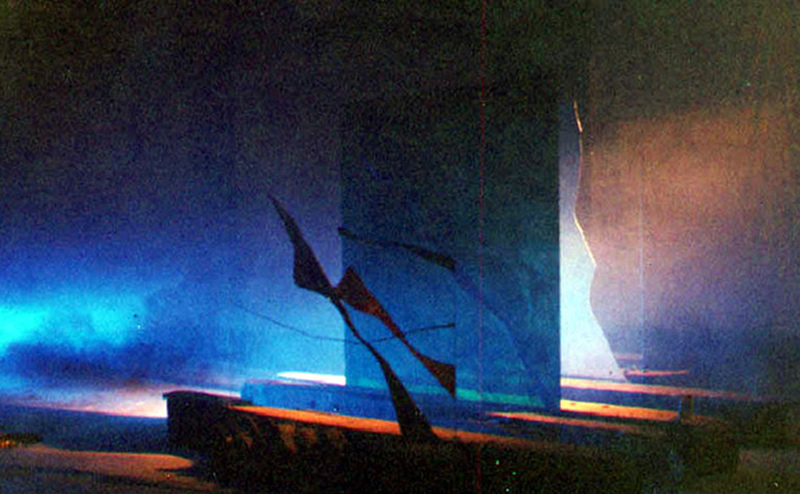 1993, Oil paint on glass in iron-clad timber. Cacophony, light, and smoke. Paintings projected onto moving canvases. Ad Hoc Gallery, Stockholm, Sweden.